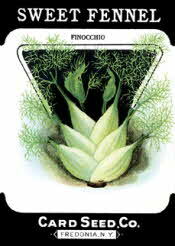 Fennel seed is the dried, ripe fruit of the perennial Foeniculum vulgare. Tall and hardy, this plant has finely divided, feathery, green foliage and golden yellow flowers. Oval seeds form in clusters after the flowers have died and are harvested when they harden. Virtually all of the fennel plant is edible: the roots and stalks can be cooked and eaten as a vegetable; the stems chopped and added to salads; the bulb eaten raw or cooked; chopped leaves used in soups, with fish or added to salads; fennel seeds are used in pickles, liqueurs, tomato sauces and sausages; fennel oil is used in candy, liqueur and perfume. Flies are said to dislike fennel, and powdered fennel has been used to keep flies away in kennels and stables. 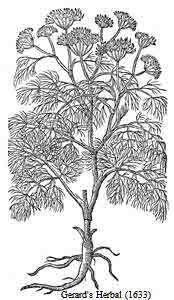 Ancients believed Fennel Seed was particularly helpful in eyesight. It was also believed to increase strength. In ancient Greece, it was considered a symbol of success. In more recent history, the Puritans referred to Fennel as the "meeting seed" as it was a favorite practice to chew the seeds during meetings. Today, Fennel Seed is widely used in India as an after-dinner breath freshener and also to help in digestion.